The North Thompson is abundant in wild, edible plants, hiding in plain sight. The Thompson-Nicola regional district covers more than 44,000 square kilometers of semi-arid desert, interior rainforest, and alpine climates. This means it is home to an extraordinarily wide range of flora, fauna, and fungi! The more than 200 species of mushrooms and more than 700 species of plants that flourish sustain the vast animal population, here. Historically, First Nations people have utilized the plentiful edible and medicinal plants for nourishment, healing, and ritualistic purposes. The growing locavore movement encouraging fresh, locally harvested meals has piqued the interests of many of our guests. We’ve asked well-informed BC naturalists, chefs and foraging experts to reveal some of the tasty secrets hidden around our beautiful home. 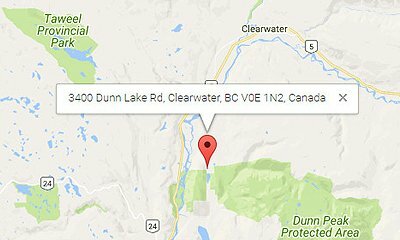 Foraging is illegal (and subject to fines) within any BC provincial park or designated protected area! If you choose to forage the region’s wild greens, fall mushrooms, or tasty seasonal berries, please be sure that you are doing so on open, public land, or with the explicit permission of private landowners. You will find many of these edible species right here on the grounds of Alpine Meadows Resort. Foraging etiquette dictates that you leave as much as you take, to ensure a healthy and sustainable crop for the wildlife and for future harvests. Mushrooms love the moist weather and nutrient-rich soils that mark the autumn in the North Thompson. The recent, devastating forest fires have also created ideal conditions for fungi to flourish. They grow on or underneath trees, in shady areas that are moist-but-not-wet, and in dark, rich soil. Although you can come across hundreds of different types of mushrooms in this area, fewer than 40 readily-found BC species are safe to eat (unless you’re a true mycology expert). In our woods, you’ll find the “Foolproof Four”: giant puffballs, hen-of-the-woods, black morels, and golden chanterelles. If you’re hunting in earnest, you’ll also find oyster and fairy ring mushrooms, and the imaginatively-named shaggy mane, bear’s head tooth, and hedgehog, and more. Sauteed in butter or oil, these visually stunning fungi provide nutty, savoury flavours and a tender texture…yum! 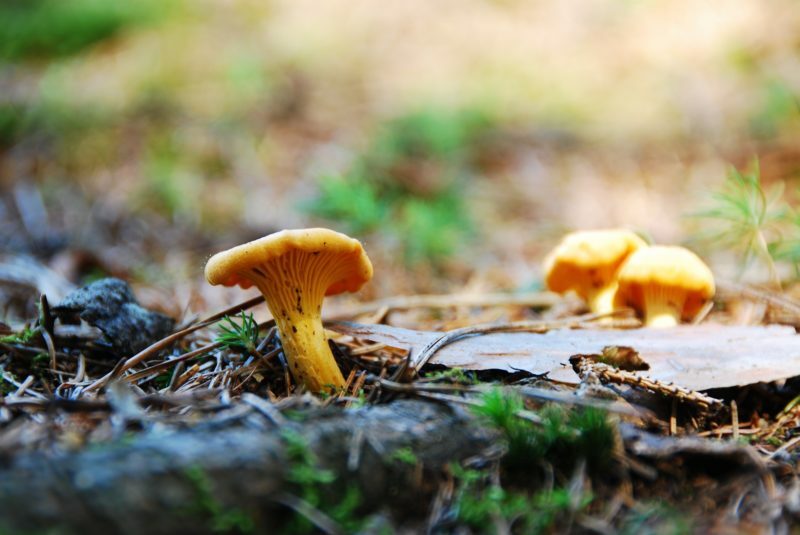 Mushroom hunting can be intimidating, as many varieties look similar to one another. Make sure you are 100% confident when you pick (and that all of the identifying characteristics match those in your guide). MANY SPECIES OF MUSHROOM ARE FATALLY POISONOUS! DO NOT EAT any mushrooms you have not positively identified. Always cook wild mushrooms before eating, and eat anything new-to-you in small quantities, only. Grown by the side of the road or popping up in flower beds, these native plants and wildflowers are often considered weeds. Woe to those who don’t know better! BC’s wild greens are plentiful, and full of flavour and vitamins, and a delectable addition to any salad or sauce. BC’s finest restaurants love to serve steamed and sauteed fiddleheads (the curled young fronds of the fern) in a variety of flavourful sauces. Young snow lily pods can be cooked like green beans. Make a salad from the easy-to-find dandelions, watercress, or stinging nettles. Herbs such as cow parsnip, clover, mustard, and mint all grow in abundance in the surrounding meadows and semi-arid foothills. Wild ginger (the roots are edible) prefers the region’s wetter locales. Berries are a true superfood! Used by indigenous peoples to treat ailments such as cramps, infections and scurvy, they’re also very high in vitamins, zinc, potassium and fibre (that’s why the bears love them!). They have been linked to health benefits such as strengthening bones, improving memory, lowering blood pressure, and reducing the risks of heart disease, cancer and type 2 diabetes. And they are everywhere, around here! In the summer and fall, our forests showcase saskatoon berries, cloudberries, raspberries, blackberries, chokecherries, currants, juniper berries, wild plums, gooseberries, Oregon grapes, wild strawberries, and more. The juicier varietals are best eaten fresh off the bush, but many of these can be made into delicious jams and sauces to be enjoyed throughout the year. Wild asparagus is a popular springtime vegetable, and foragers in-the-know are very reluctant to share their harvesting spots. Wild asparagus is exactly what you envision: single shoots pushing up through the dirt, often hidden by the showier springtime plants that surround it. While these tend to grow clustered in a location, the individual stalks can be several inches apart, and are harvested one-by-one. It’s worth it! Nuts are a great source of protein in the wild! The bears and birds might beat you to it, but if you’re lucky, you’ll come across some really tasty nut trees growing in amongst the evergreen giants. Wild hazelnuts, which look like tall and spindly, broad-leafed bushes, are wonderful toasted and added to a salad of foraged greens! Wild crabapples are often tucked away among the “younger” deciduous sections of the forests, here. Although the tiny crabapples can be bitter to eat raw, they’re often boiled down to make a really delicious jelly. Time for tea! Wild chamomile and wild rose hips are abundant in the brushy high desert regions. Take advantage of the new growth among the evergreens each spring, as well. Indigenous people have long used the tender fir tips to create a rejuvenating infusion. Arrowheads (or “duck potatoes”) grow in the marshy wet areas surrounding the North Thompson’s many lakes. Although animals like to munch on the seeds of this plant, it’s the tubers that attract humans! These can be dug up and cleaned, and then cooked like a potato, with a somewhat nutty flavour. The greatest selection of wild edibles grow during the Alpine Meadows Resort season (a happy coincidence?). Book your visit for May-October 2019! In the meantime, you can plan all of the tasty meals you’ll be able to create when you get here. Interested in learning more about the wild cornucopia to be found around the North Thompson? Or contact local herbalist, Sharon Neufeld, for a lesson in the medicinal plants of the Wells Gray region.